An IP (Internet Protocol) address is a unique identifier for any device that connects to the Internet. All computers, modems, routers, mobile devices, and even accessory items such as printers, scanners, and fax machines have an IP address. IP addresses are extremely common in the web design industry because every website must be associated with a specific server that is identified by its IP address. IP addresses are very important in the information technology era because without them, computers and other devices would not be able to find or access each other. Without IP addresses, the Internet could not exist. 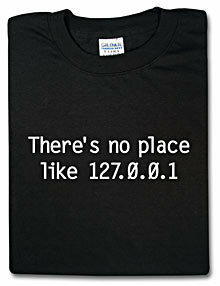 A static IP address is one that does not change. This type of IP address is used much less than dynamic IP addresses, but is beneficial for a number of reasons. For example, websites require a static IP address to find and access them without running a search. This also allows users to bookmark websites because the bookmark points to the same IP address every time the user accesses it. Likewise, static IP addresses are required for VPNs (Virtual Private Networks), a type of remote connection between two computers, or one computer (client) and a server. This allows users to remotely access files and share information. Static IP addresses are also convenient for online gaming as they allow a server to automatically recognize a player and restore the player’s score, achievements, settings, and in-game placement. While cookies are also capable of doing this, static IP addresses are more reliable due to their permanent nature while cookies can be deleted. A dynamic IP address is the exact opposite of a static IP address. While static IP addresses are always the same, dynamic IP addresses change whenever the user connects to the Internet or a device is restarted. In computer networks, a modem assigns and keeps track of individual IP addresses within the network and represents all of these devices under one master IP address. While the master IP address is highly dynamic and can change whenever the modem is restarted, other devices generally have the same IP address, even when they are restarted. In this case, dynamic IP addresses come in handy because they allow devices to access the Internet without requiring each one to have its own static IP address (this would quickly lead to a lack of available IP addresses). It also allows devices to troubleshoot connection and bandwidth problems by connecting to the Internet through a different IP address. Users who create a website by using a hosting company do not have to worry too much about IP addresses. However, users who create a website with a client-based software such as Dreamweaver, and intend to use their own hard drive as a server must ensure that their computer’s dynamic IP address is converted to a static IP address. This is very important because the website’s visitors will not be able to find the website if it is using a dynamic IP address. Setting up a static IP address can be confusing, but it does not have to be. PortForward provides a free application that is able to analyze the user’s computer network, and automatically assign it a static IP address without requiring the user to have any advanced computer skills or input any technical information. The software displays all of the network’s technical information, such as name, Mac Address, Gateway Address, and Primary DNS (Domain Name Service), whether the network is using a dynamic IP address or a static IP address. It also provides an easy option for converting from one type of IP address to the other. The software is called PF Setup Static IP Address and is available here. Available here. Where? PF setup Static IP? Sorry for the missing link. We have now added the link to the “PF Setup Static IP Address” software. Amanda that was beautifully written! What an awesome reminder to just breathe. I find you truly inspiring and can’t wait to take your class. Thanks for the reminder to breathe…it came at the perfect time. Namaste dear friend. 272 queries in 0.334 seconds.